Dreamland Golf Club - Latest News! 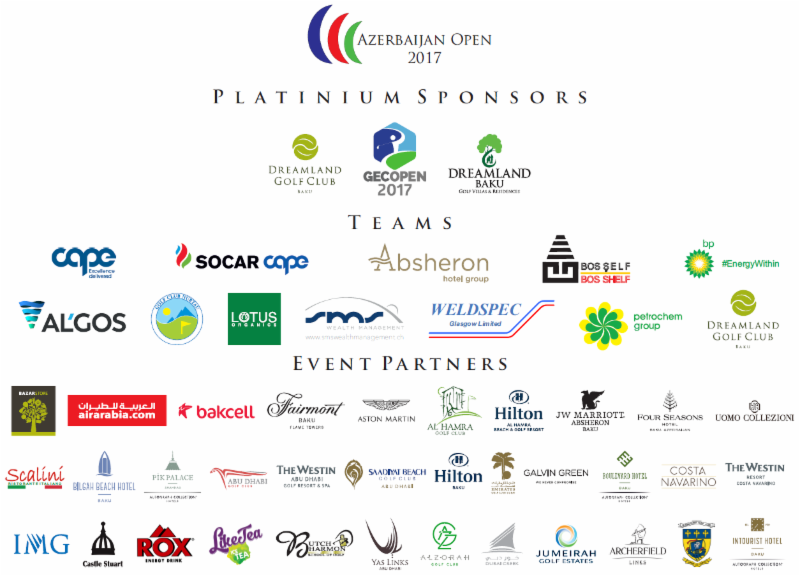 On behalf of the entire management we would like to thank all Sponsors, Corporate Teams, Dreamland Golf Club members and Visitors for their support to the 2017 Azerbaijan Open. The playing field of 23 teams (92 players) created a true international feel to a very memorable weekend for golf in Azerbaijan. 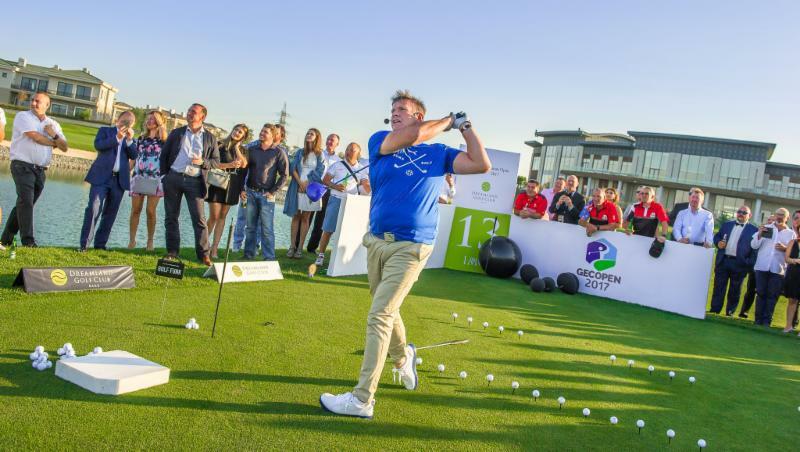 With many leading companies and resorts sponsoring prizes, winners received an arrear of luxury offerings including Hotel Room stays, Dining & Shopping vouchers, Luxury Clothing, Golf Equipment and 4 Ball Round Vouchers for some of the most iconic Golf Courses in the world. The team is currently working on the full media release and preparing the photos from the weekend, however we are delighted to present a “flavor’ of the action. It’s with great pride we congratulate the Socar Cape team on winning the 2017 Azerbaijan Open! With Azeri golfers featuring in the award ceremonies this past weekend we are delighted to announce our 2017 champions - Tofiq Afandizada, Elman Rzayev, Nicolas Young and Steven Black. It was the final day team performance that ensured victory when they amassed a massive 101pts in the Betterball Stableford format. Added to their Day One combined score of 124pts the team won by a 4 point margin on 225pts. The team will enjoy travel to the UAE with Air Arabia and play the newly opened Al Zorah golf course in Ajman before staying at the Hilton Al Hamra Beach resort followed by a final day 18 holes at Al Hamra Golf Club host of the Ras Al Khaimah Golf Challenge Tour event. The visiting team of Baurzhan Bissembayev, Baurzhan Sarkytbayev, Yerbolot Ospanov, Mukan Sagindykov from Kazakstan were runners up with Day One scores of 136pts & Day 2 85pts, total 221pts. They will enjoy an Abu Dhabi golf experience playing at the Abu Dhabi National & Saadiyat Beach Golf Club whilst staying at the Western Hotel. Dreamland Golf Club members Robert O’Donoghue, Craig Elliott, Sean Harrison and David Bray will enjoy a Dubai Golf experience winning a round at Dubai Creek golf course followed by a game on the famous Majlis course at Emirates GC host of the Dubai Desert Classic after taking third place with a combined 219pts made up of 135pts & 84pts. 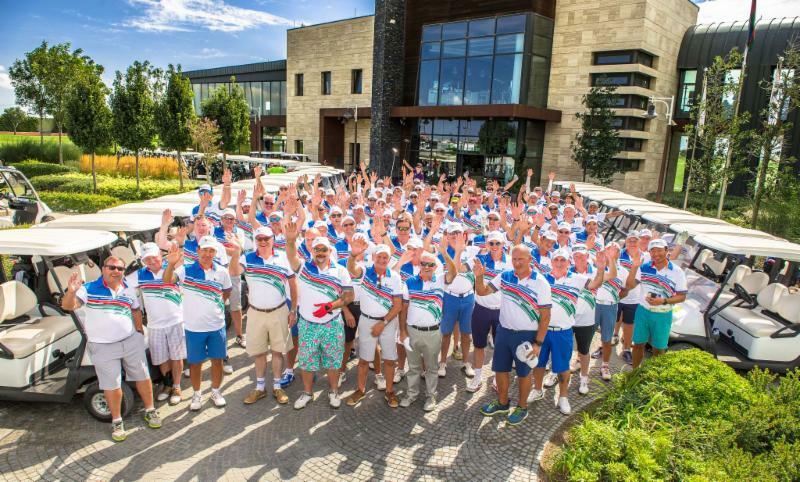 Playing a full handicap Stableford format each team of four was split into two pairings. Although an individual Stableford game for each player, all scores from Day 1 went towards the overall team total and final results. With many in form players competing the round was played in perfect weather conditions. We congratulate the following winner Class A Handicap index 0 – 16.6 Yerlan Duissenbin who traveled from Kazakhstan – 42 points. Winner Class B Handicap index 16.7 – 28.0 was Dreamland Member Eldar Kerimov – 40 points, followed by Susan Drummond – 39 points winning the Class C Handicap index 0 – 36.0 Ladies – Enjoy Dubai!!! Nearest the Pin Hole 17 – Azerbaijan Open 2017 - Susan Drummond. We were delighted to welcome back Geoff Swain trick shot artist and ambassador for Dreamland Golf Club. 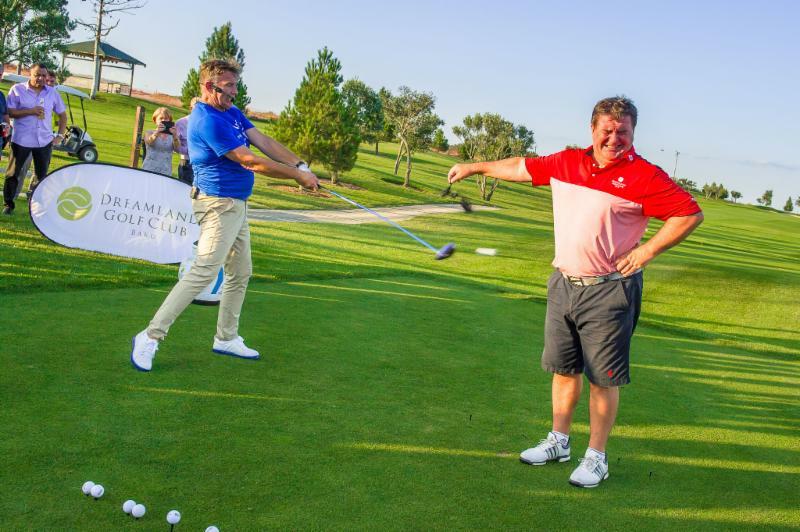 As a global traveller, Geoff performs at many of the leading European Tour events including the HSBC Abu Dhabi Championships and the Audi World Amateur Final. Using a branded Dreamland Golf Club bag he is always happy to promote our club and Baku on his journeys! The show as always was entertaining and enjoyed by all. The clubhouse garden created the perfect setting for the evening gala dinner and infamous Calcutta auction for the final day team scores. The generosity of players and sponsors this year was incredible with over 5000 AZN raised to further develop our junior golf program. On behalf of Michael and Elshan we thank everyone for their contribution – these funds will make a massive difference for our junior players. With two scores to count from the team on each hole the format encourages aggressive play allowing players to use their shots wisely. With superb personal performances from Steven Black (43pts) and Nicolaus Young (38pts) insured the team had a massive 101pts on the final day. 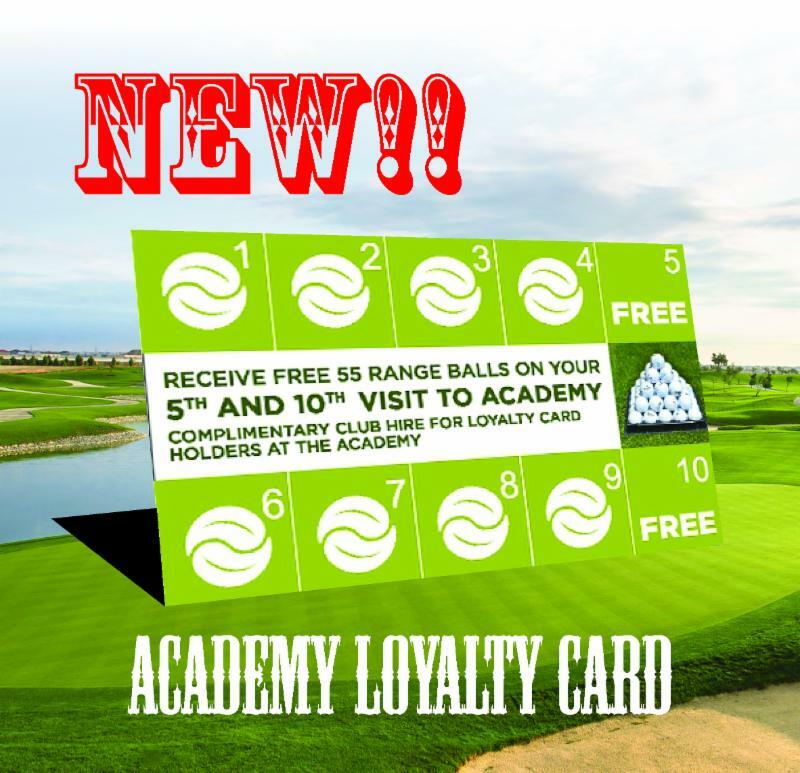 Side contest winners:- Nearest the Pin Hole 4 - Andro Shilakadze, Nearest the Pin Hole 7 - Baurzhan Sarkytbayev, Nearest the Pin Hole - 11 Bryan Thomas, Nearest the Pin Hole 17 - Jin Youb Choi, Longest Drive Hole 6 - Craig Elliott and Nearest the Prize Flag Hole 18 - Bryan Thomas. The i2offshore Medal Series September qualifier will be held on Sunday 17th of September. Be sure to register below, as we have blocked early morning tee times from 8.30am – 10.40am for members wishing to participate in this event. 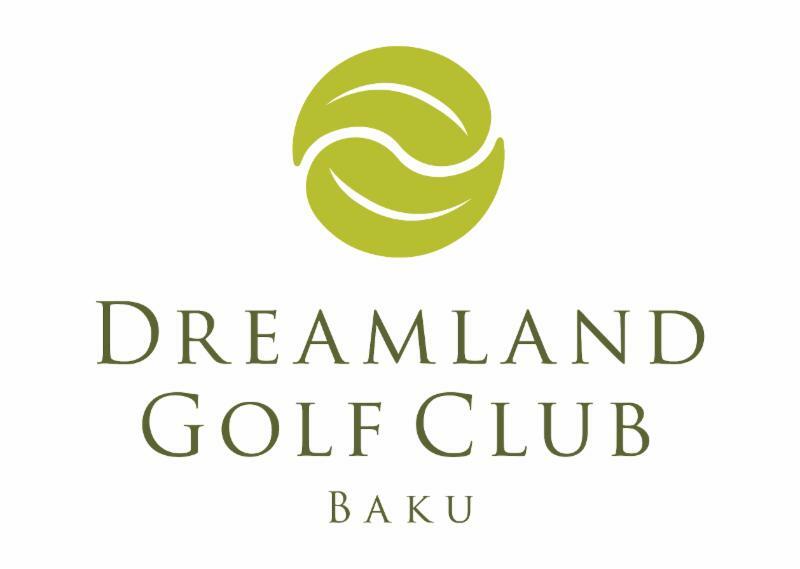 We have opened the registration for the Dreamland Golf Club Members' Club Championship! It promises to be a great two day event with a tour style atmosphere. After completing your first round on Saturday 2 3 rd the flights for the final day will be published in score order with the leading teams teeing off last starting from the 13 th Tee. With the help of Hard Rock Cafe and Porsche Center Baku we look forward to launching this new annual event which will conclude with an exciting finish as we watch groups finish in front of the patio terrace on the 12 th Green. Good luck to all – we want to see some Eagles and some Play-Off’s within the flights. Please sign up for a Golden Flight (Stroke-play) or Silver Flight (Stableford) and get ready to find out who is the Dreamland Golf Club Champions for 2017! Please see all details on the link below. This weekend Jamie McNeice will play against William Blanchard so winner will meet Alan Brew in the Match-Play finals! Let's hope that all games will be played and final match will be announced for all golfer to cheer up the finalists. Delighted to officially launch our academy floodlights and road access and I am sure you will all be excited to use the excellent facilities now regularly in the evenings. Direct access to the academy will be available from 5pm on Monday to Friday and academy will close at 9pm. 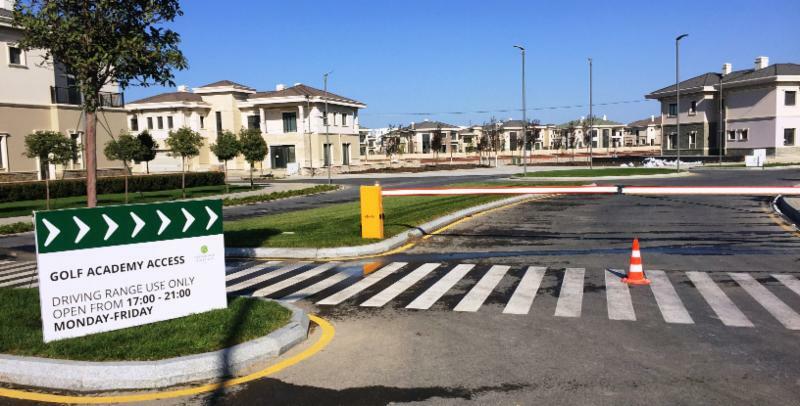 When you reach the main entrance for Dreamland to access the Academy you will turn right, pass the barrier – pictured – and then follow the road signs direct to the Golf Academy. Last balls will be available from 8.30pm and practice available till 9pm. We look forward to seeing as many of you as possible taking advantage of these evenings for tuition with either Michael, Anton or Elshan. 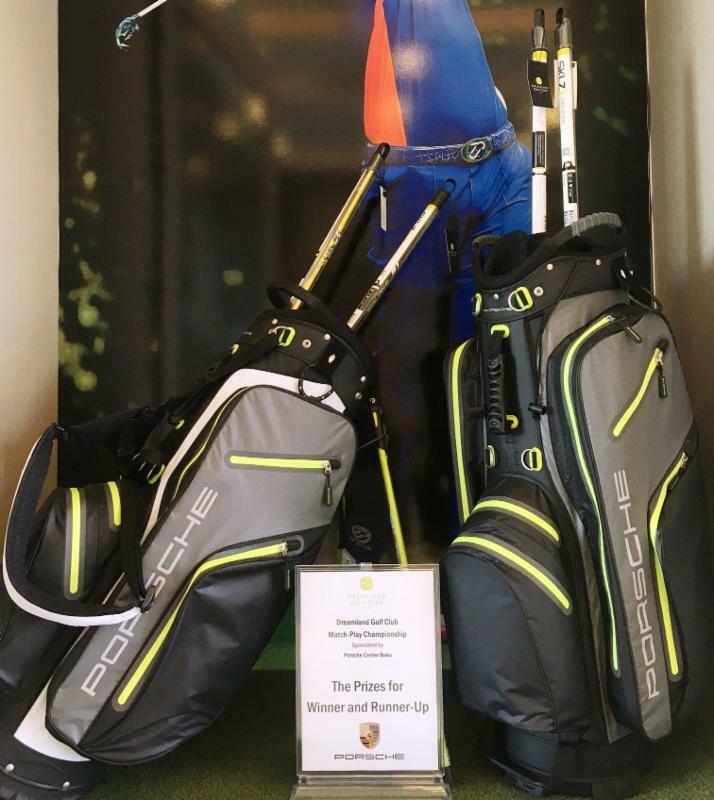 Some big events coming up soon so don’t leave it too late to improve your game …. Better start now!